The pen is mightier than the sword, and this pen helped bring about the American Revolution. Thomas Paine is one of history’s most renowned thinkers and was indispensible to both the American and French revolutions. The three works included, Common Sense, The Rights of Man, and The Age of Reason, are among his most famous publications. 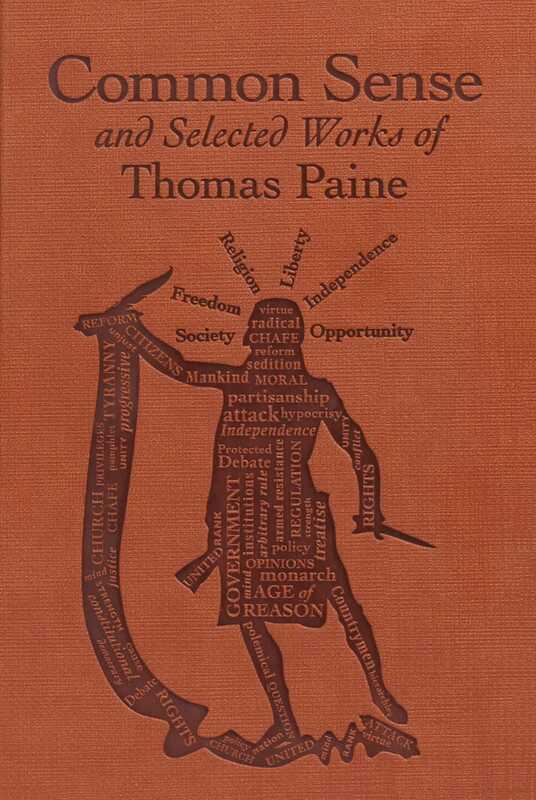 Paine is probably best known for his hugely popular pamphlet, Common Sense, which swayed public opinion in favor of American independence from England. The Rights of Man and The Age of Reason further advocated for universal human rights, a republican instead of monarchical government, and truth and reason in politics. The works of this moral visionary, whose ideas are as relevant today as ever, are now available as part of the Word Cloud Classics series, providing a stylish and affordable addition to any library.